TAVARES, Fla. - Coming off a promising Roar Before the 24 Test early in the month the No. 24 WeatherTech Audi R8 GRAND-AM team is poised for a strong 51st running of the GRAND-AM Rolex 24 Hour at Daytona, Jan. 26-27. Audi factory drivers, Edoardo Mortara (Italy), Filipe Alburquerque (Portugal), Oliver Jarvis (England) and American Dion von Moltke (Coral Gables, Flor.) are ready to make a run for the coveted Rolex Daytona watches awarded to the winners of the race. The No. 24 WeatherTech Audi R8 line-up is an international mix of driving talent, mostly bred in the very competitive Deutsche Tourenwagen Masters (DTM). The 3.56-mile, 12-turn Daytona International Speedway modified oval road course will be a new racing experience for the DTM drivers, but for Florida's von Moltke it is very much a home circuit. "My favorite part of Daytona International Raceway is the Bus Stop, it is a 100 mph extremely technical corner," von Moltke said. "The rare part of this corner is that both the entry and exit of this corner are extremely important. Audi has worked extremely hard to not only give us a competitive car but a reliable one as well. It is vital for drivers in the Daytona 24 Hour to trust their car enough to push for the entire 24 hours and Filipe, Olly, Edo and I definitely have that confidence in our WeatherTech, PRNewswire Audi R8 Grand-Am. When you get out of the car around 2-4 a.m. you have to force yourself to eat something, but your stomach isn't really use to this so you do whatever you can to get something in you. For me the first thing I do after getting out of the car is go and get something to eat, once I have done this I usually have about three or four hours to rest before I need to head back to the pits, so I sleep for about two hours." Jarvis has a lot of faith in the Audi R8 and this team. "In order to have a chance of winning, first you have to finish the race and the key to this will be staying out of trouble with the DP's," Jarvis said. "With the Audi R8 having been proven to be reliable over 24-hours, I am confident that me and my teammates will be able to attack 100% throughout the race at very high competition level, which will be necessary to win the race. I absolutely love the banking. It's a very special feeling going through NASCAR Turns One and Two three-wide. It's quite often difficult to switch off when getting out of the car because of the adrenalin, but it's extremely important to get a few hours of sleep when you can. However, the most important thing is to make sure that you stay hydrated, especially with the long stints that you can be expected to drive." For Mortara staying fresh is important to on track performance. "To be competitive during these 24 hours it is important to stay out of trouble, no contact with others," Mortara said. "It's a long race with tough competitors. We will need to have a perfect race in order to win, so driving a bit more carefully. I really like the Bus Stop chicane. It's the most challenging corner on the track. Sleeping will be an important factor. You want to stay fresh, well awake and focused when you drive in order to avoid problems." Alex Job, together with Audi Sport customer racing, has completed the to-do list in preparation for 24 hours of racing with the WeatherTech Audi R8 GRAND-AM. "Together with the Audi Sport customer racing technical staff we have everything ready," Job said. "The test in early January went really well. Edoardo, Oliver, Filipe and Dion all got along great and we came away with a nice baseline of information that should have us ready when we unload tomorrow. Brad Kettler's team and our guys have planned for every situation that can occur over the 24 hours. We will fine tune things in practice. See what we have in qualifying and be ready for two straight days of running on Saturday and Sunday. Simple." The 2013 GRAND-AM Rolex 24 Hour at Daytona will run Jan. 26-27. SPEED Channel will have live coverage on TV and the Internet. They will carry the start live, Jan. 26 from 3 p.m. to 11 p.m., Jan. 26/27 from 11 p.m. to 9 a.m. will be aired live on SPEED.com, and the finish come back on live TV Jan. 27 from 9 a.m. to 4 p.m. The GRAND-AM GT category suits the Audi R8 GRAND-AM. The R8 features a 90º V10 engine longitudinally mounted with a displacement of 5.204 liter / 317.6 cu. in. Framing the R8 are carbon fiber and aluminum body panels with an aluminum space frame. Suspension consists of front and rear double wishbones, coil springs over hydraulic dampers with anti-roll bars. Steering is rack-and-pinion, power assisted. Stopping the R8 are ventilated steel brake discs. The gearbox is a six-speed sequential driving the rear wheels. The R8 weighs in at 1250 kilo / 2775.8 lbs. Alex Job Racing is one of the most successful teams in sports car racing with 67 wins (since 1995), including a 1999 Rolex 24 GT Class win. This record is supported by 48 pole positions and 106 podium finishes. The team has won four championships (GTC 2012, GT in 2004, 2003 and 2002) complimented by their two GT class wins at Le Mans. The team also boasts eight Sebring 12-hour wins. MacNeil Automotive, headquartered in Bolingbrook, Illinois, has long been recognized by the discerning automotive enthusiast as a supplier of accessories of unparalleled quality. 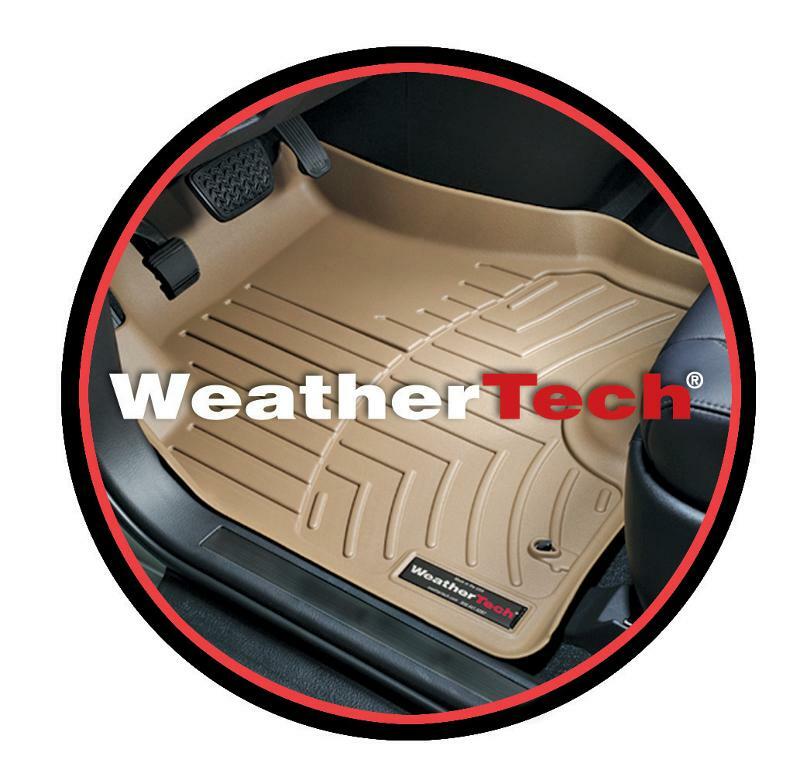 In addition to the WeatherTech brand, the company supplies products to many automobile manufacturers (OEM) as an original equipment supplier. In fact, MacNeil currently supplies accessories to all four German manufacturers of luxury automobiles as well as a host of other automobile manufacturers worldwide! More information can be viewed at www.weathertech.com. For more information about AJR, visit www.alexjobracing.com, or visit our fan page on Facebook by searching WeatherTech Racing.